12′ by 80′ concrete double tee load for CarGill Kitchen Solutions job at Lake Odessa plant. Hauling flour for one of our loyal customers, King Milling. One of almost 30 loads hauling a massive crane. Emergency move of part of the 100th street bridge in Byron Center, MI after it was hit. 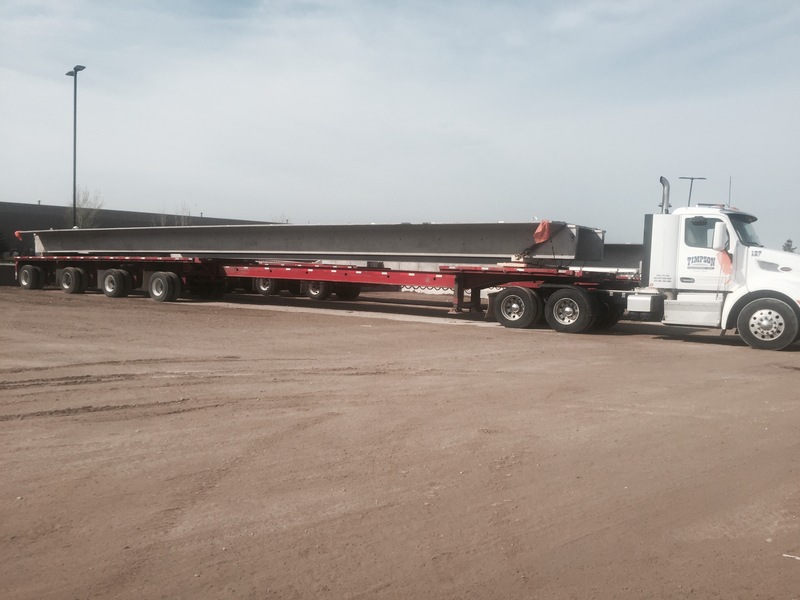 76′ Peninsula Prestress bridge beam for new bridge in Mecosta County, MI. Bridge beams from Peninsula Prestress for new bridge over Flat River in Six Lakes, MI. 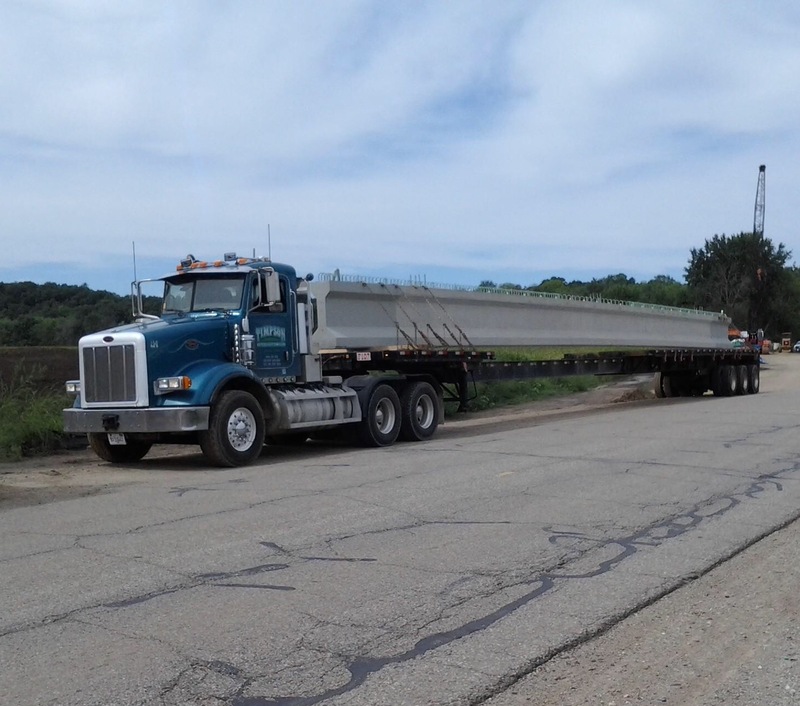 Davis job hauling 85′ bridge beams from Stress Con in Kalamazoo to the new bridge over the Maple River in Muir, MI.